For centuries we have come together on the third Thursday of November to celebrate autumn with the circle of our closest friends and family. In 1621, two distinct cultures laid the foundation of what has become the land we call “United”. By doing so, we have determined who we are as the people, and what values we choose to follow. Unity includes the ability to embrace differences, encourage diverse ideas, value liberty and protect equality. 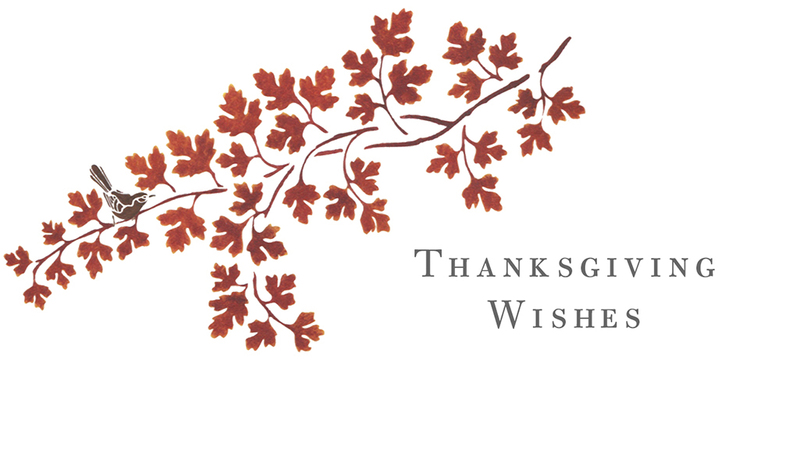 With that spirit in mind, we are wishing you and your family a peaceful and joyous Thanksgiving. We are deeply grateful for the good in life.